This story is brought to you from the same author as The Everything Store, an excellent book about Amazon. With his tech reporter credentials he’s able to get exclusive and deep access to the key players involved in the growth of storied tech companies. I am glad to report that there was a lot to each company’s founding story that I learned from this book. I now have a much clearer understanding of the players involved in the origin stories, including the founders, competitors, and investors. It was fascinating to learn, and I encourage my fellow technophiles and startup enthusiasts to read this book. I read this book mostly on the basis of the authors pedigree. Kai-Fu Lee is a tech rock star. He’s an O.G. of AI research, a tech exec who built Google China, and founder of the VC firm Sinovation Ventures. 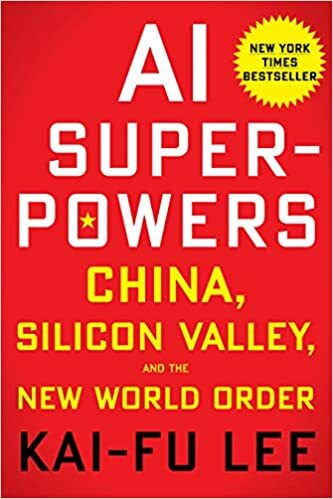 What I hoped to learn from this book was not about AI necessarily, but rather about the view on why China would be relevant to the AI economy in the coming years. Lee delivered on the promise by telling a story that tied together China’s strengths and the current state of AI development. Despite China’s shortcomings, the argument that they have what it takes to make meaningful advances with AI technology is a strong one. The point centers around the fact that we’re not relying on fundamental breakthroughs in AI research for progress. Instead, the breakthroughs already exist and now we’re in the “application” phase where execution is needed. And China has the skills to pay the bills when it comes to applying this tech because of the massive amounts of engineering manpower and a data-rich environment driven by culture and scale. Watch out! Lee spends a good part of the book painting a picture of what the world might look like after the AI job losses start occurring. His message is that we will be wise to reposition the manpower that’s been replaced by computers to do tasks that are innately human – social work, care giving, etc. I’m not sure I buy into this thinking as much as the message on China, but it’s a conversation that I think will pick up steam over the coming years. Read this book if you’re curious to learn more about AI and the “race” among countries to implement it. Otherwise, maybe find a summary online. The subject of this book is meditation. 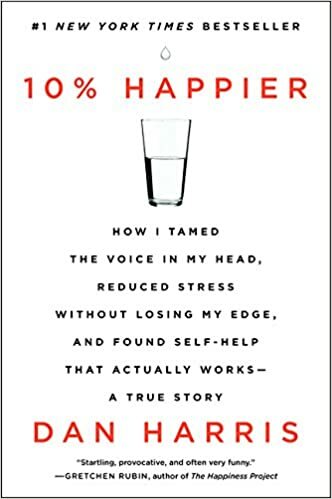 It’s a personal story written by Dan Harris, a TV media personality who’s been a journalist, a morning show host, and an anchor. Dan’s story is especially interesting because of his early professional experience as a religion reporter. He was the stereotypical skeptic and cynic. He spent much of his time on the road scouting out stories of people with (seemingly) bogus beliefs and shining bright media sunlight on them. So the fact that someone like this was sucked in to the world of meditation and mindfulness by characters like Deepak Chopra and Eckhart Tolle is interesting. 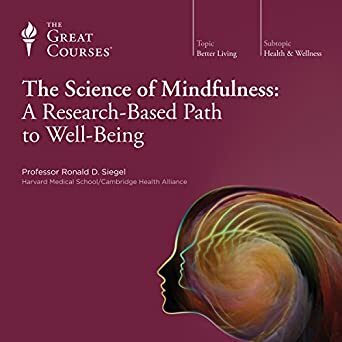 Since I read this after having become a believer in the power of mindfulness (based on research presented mostly in The Science of Mindfulness), it didn’t do much to influence my thinking on the topic. It was just a neat story. But if you’re still on the fence, Harris does a nice job of detailing his personal experience with mindfulness. One part that I found novel and interesting was his journey to a 10-day silent meditation retreat. Hope you enjoy it! Not every startup need burn ridiculous amounts of cash to get as big as possible as quickly as possible. But some should, and Reid Hoffman explains exactly how to identify them. Reid is the founder of LinkedIn, a venture capital investor at Sequoia, and a former early employee at PayPal. He knows a thing or two about the topic of scaling. 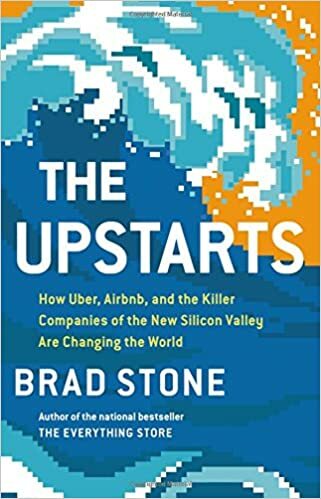 The book argues that for startups that operate in winner-take-all or winner-take-most markets, the need to grow quickly to capture market share far outweighs the need to operate a business efficiently. 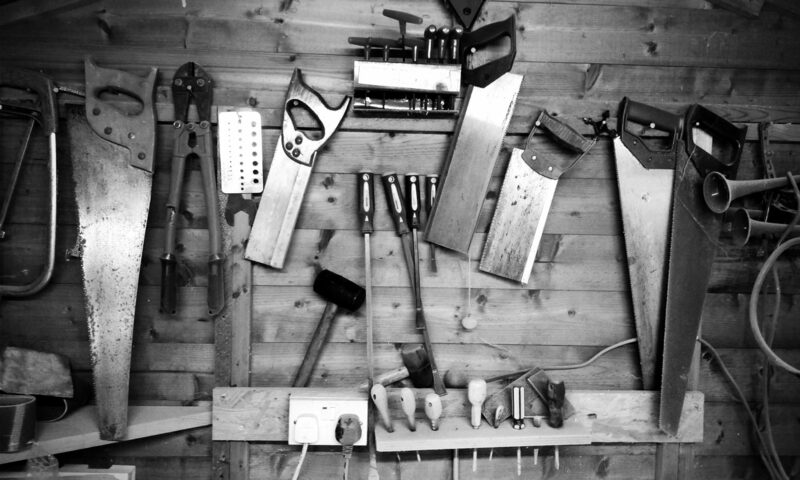 The trade off is to optimize for speed to market and growth at the expense of financial and operational efficiency, because absent winning the market there’s no hope for the business. This is not a book of hypothetical musings. 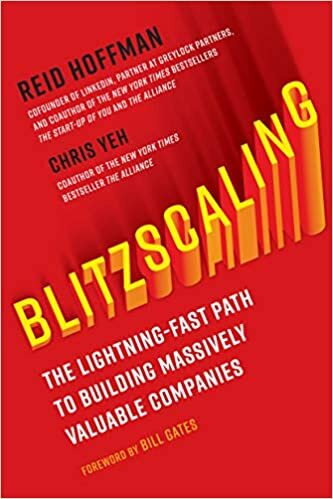 It’s actionable advice based on real examples of companies that “blitzscaled” to win sustainable competitive advantages – most often based on network effects that create customer lock-in and competitor barriers to entry. Read this book to understand the mentality of venture capital fueled businesses, the stakes they play for, and maybe most importantly the conditions required for this path to make sense. Most businesses should not take this path! Let’s set the record straight: I’m no weather geek. I picked this up because of an admiration for the author’s research and writing on other topics. And I’m glad I did. 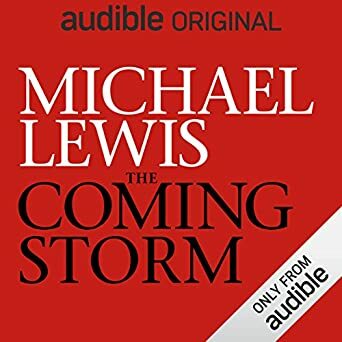 The political angle is interesting and possibly divisive – Lewis highlights the choices the Trump administration has made to put someone with deep financial conflicts of interest in charge of the department that owns and releases all of the public weather data. Obviously the title of the book can be interpreted as a double entendre. Author Michael Pollen weaves together a lot of science, stories and experience into an intriguing narrative about psychedelics. I read this shortly after finishing a science-based book about meditation. It seems both methods – mindfulness and psychedelic chemicals – are an effective way to quiet the ego that lives in the brain’s default mode network. Why would anyone want to do this? It tends to be the case that once people accomplish this they are better able to cope with the daily trials of life. LSD, mushrooms and other psychedelics earned a bad reputation in the US after the counterculture movement of the 60s. It was interesting to learn that before that movement, there was much legitimate research into the benefits of these substances. Many studies showed effectiveness of these chemicals at treating depression, addiction (including alcoholism and cigarettes), and fear of death. 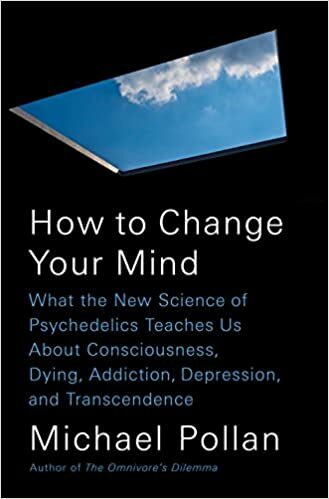 This books comes at a time when acceptance of the benefits of psychedelics is once again growing and the restrictions of their study are loosening. I’m excited to see the scientific community dig deeper and uncover more about how these substances can be used for our benefit, and what their underlying mechanics can teach us about how our minds work. I’ve tried meditation a few times in my life, but not yet with the dedication that I apply to other areas. Partly, I’ve been skeptical of its effects. And partly, it’s hard to do! I decided to read this book because the author is a Professor and clinical psychologist at the Harvard Medical School. I figured if anyone could make a believer out of me, it’d be a well-credentialed academic and clinician. Well, it worked – I’m now a believer that effective mindfulness can really help people improve outlook on life. It’s eye-opening to learn (from this book) about the many controlled studies that have demonstrated positive mental effects of this practice. It’s been demonstrated to effectively treat depression, help people overcome trauma, and generally come to terms with the stream of thoughts that constantly flow through human brains. Despite all of this information, I must admit that I haven’t yet restarted my efforts at regular practice. Something unknown is holding me back. But next time I try, I think it’ll be easier to stay motivated knowing there’s a real basis for it demonstrated in scientific research. I’m way too busy (or lazy) to verify the quality of the myriad scientific papers and studies referenced throughout this book. I haven’t counted them either, but there are surely hundreds of them. So, instead I’ll just assume that at least half of what I read in this book can be discarded as flimsy. That still leaves the unignorable other half, which is a lot. 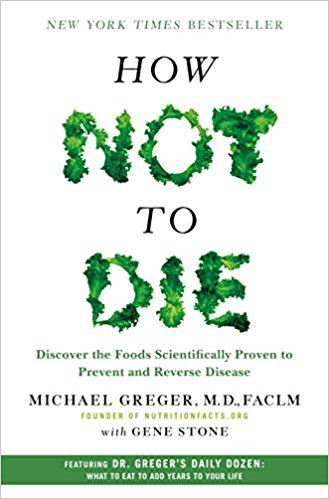 My take-away from the book is that a plant-based diet is shown repeatedly in research to improve the quality of human health. In general, I am convinced of this. At the same time, I recognize that there’s an asterisk on much of this because of the challenges inherent in nutrition research. Personally, since I am a big fan of fruits and veggies, it’s not too hard to make them the bulk of my diet! If you’re interested in nutrition, I think this book is worth reading. The author definitely unearths some obscure research about different foods and diseases. If you read it and happen to take the time to fact-check his sources, please let me know! 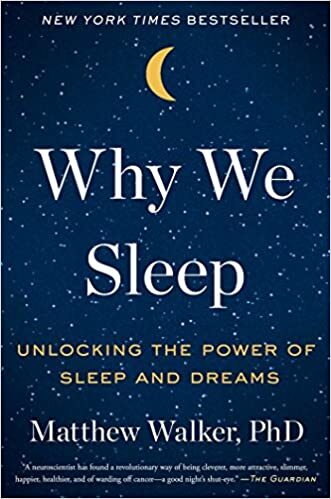 The author of this book, Matthew Walker, is a sleep researcher. He doesn’t think his profession has done a good enough job communicating the science of sleep nor the implications of not sleeping enough. So he wrote this book. I, as a reader, am thoroughly convinced. Walker references dozens of studies that all highlight aspects of the same core conclusion – sleep is critical to high physical and mental performance, and there’s no way to cheat it. If you are sleep deprived at all (even 60 minutes matters), you aren’t functioning at your best. Moreover, if you’re sleep deprived you are opening the door to all sorts of diseases because your immune system isn’t operating at 100%. I think this book is applicable to everybody – whether you’re already a good sleeper or not – for the insight that it brings around how to improve sleep quality. What an eye-opener this book is! Microbes like bacteria and archaea are everywhere. They live on pretty much every species and surface. And, their lives impact ours in myriad complex ways. Our species has co-evolved with many of the bacteria we live with today. So much so that if we were born in sterile environments, we’d turn out abnormal! We still know arguably very little about the myriad species of bacteria that live in and among us, but scientists have started realizing their importance and digging in to learn more. New techniques for DNA sequencing have opened the door to better classification of the microbe species. 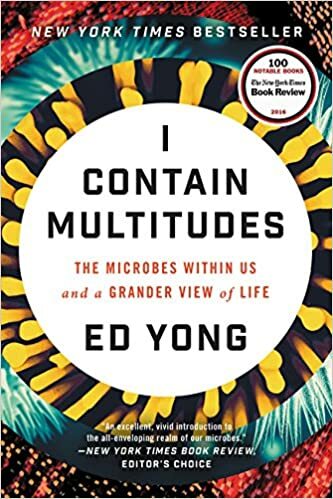 This book offers a great introduction to the world of microbes. If you’re into health, biology, or science in general – this one is for you.